Lock in a great price for Hotel SPA Activia – rated 9.1 by recent guests! Great location. Very nice staff. Fantastic breakfast. Hotel's location was very good. Our room was new, modern, clean, with a very nice bathroom. The staff was very friendly. Breakfasts were tasty and filling. Thank you for this. Dużo atrakcji dla dorosłych i dzieci. 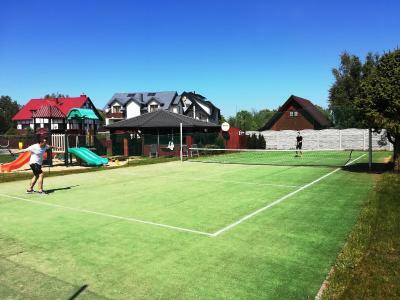 Pingpong, bilard, plac zabaw dla dzieci, stół do piłkarzyków, fotel do masażu, jacuzzi basen siłownia i sauny. Wszystko w cenie pobytu. Smaczne śniadanie full wypas, miejsce godne polecenia. Personel przemiły i bardzo pomocny, przepyszne jedzenie, pokoje nowoczesne i czyste. 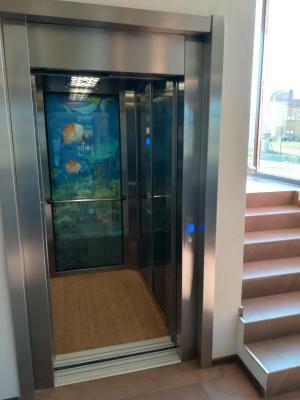 Strefa spa bardzo klimatyczna. 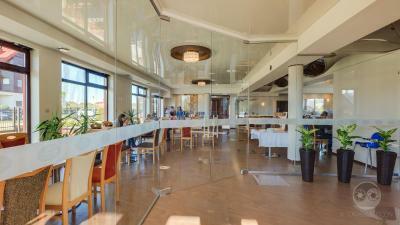 Niewielki hotel w spokojnej okolicy - idealny na odpoczynek. Na pewno jeszcze tam wrócę :) Polecam! 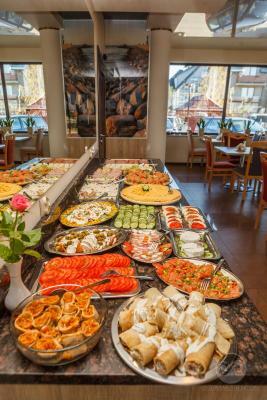 Hotel położony z dala od zgiełku, blisko morza. Personel bardzo uczynny wobec wszystkich naszych życzeń. Ładnie urządzona strefa SPA - miła niespodzianka w postaci darmowego piwa i wina w trakcie relaksu. Świetna kawa, sprawny internet. W pokoju - do użytku odtwarzacz DVD (w recepcji wypożyczalnia płyt). Polecamy saunę infrared na 30 min.- pozwala się "wypocić" w największym zakresie. B. wygodne łóżka. 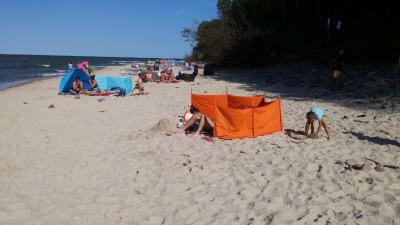 Polecamy spacer plażą do Władysławowa. Śniadania i obiady rewelacyjne i smaczne. Obsługa hotelu pomocna i miła. 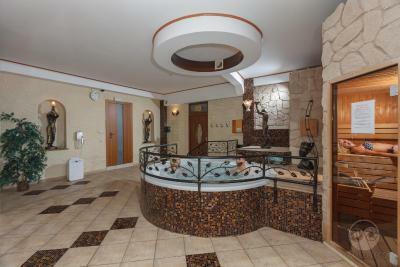 Strefa spa, pokój do rekreacji też super. 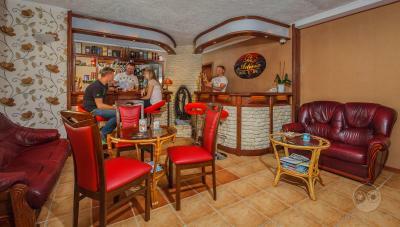 Podobała mi się czystość pokoju, śniadania, sala do wypoczynku, miniSPA. Hotel SPA Activia This rating is a reflection of how the property compares to the industry standard when it comes to price, facilities and services available. It's based on a self-evaluation by the property. Use this rating to help choose your stay! 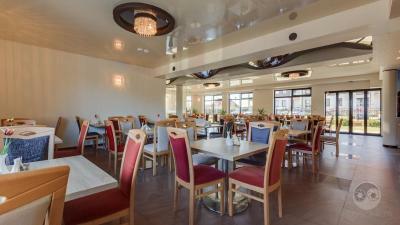 Located in JastrzÄbia GÃ³ra, the Hotel Activia offers rooms with free Wi-Fi, an LCD TV and a DVD player. 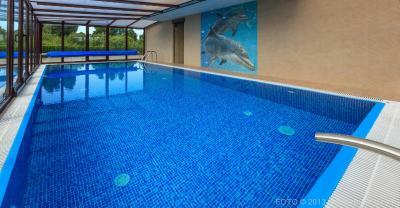 The hotel features a fitness studio and a tennis court that guests can use free of charge. Free public parking is available on site. The rooms of the Activia are spacious and elegant with a carpeted floor and a seating area. Each one features a balcony a refrigerator and an electric kettle. 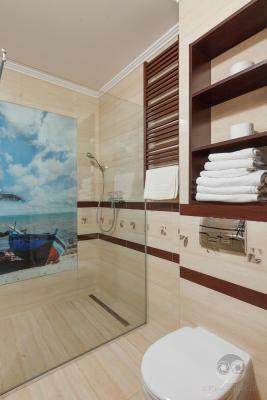 The private bathrooms have either a shower or a bath. 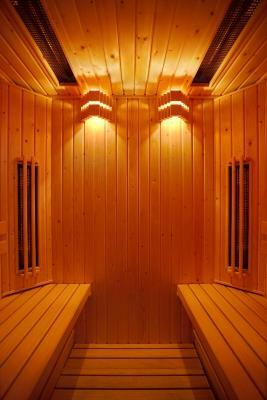 Guests can pamper themselves at the hotelâs spa and wellness facilities, such as a hot tub, saunas and an indoor swimming pool which are offered for free. Other complimentary activities that guests can enjoy include billiards, table tennis, bicycles, Nordic walking sticks and basketball and volleyball pitches. Children will enjoy a playground. 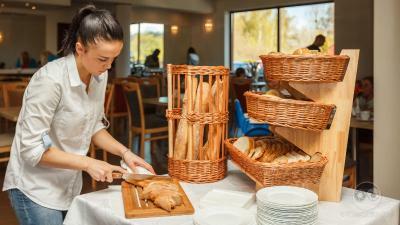 In the mornings a breakfast buffet is served in the propertyâs dining room. 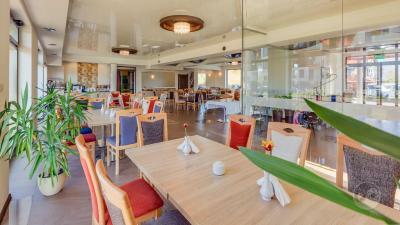 The restaurant serves international and Polish cuisine. The beach on the Baltic Sea is within 1,000 feet. 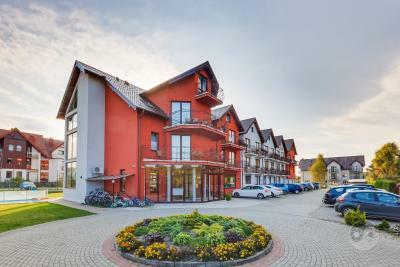 This property is also rated for the best value in Jastrzębia Góra! Guests are getting more for their money when compared to other properties in this city. When would you like to stay at Hotel SPA Activia? 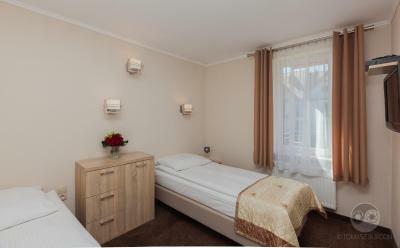 An elegant room decorated in warm tones which includes an LCD TV, a DVD player and an electric kettle. It also has an exclusive woolen carpet, a refrigerator and a safety deposit box. Bathrobes are free of charge for 3 night stays and longer. 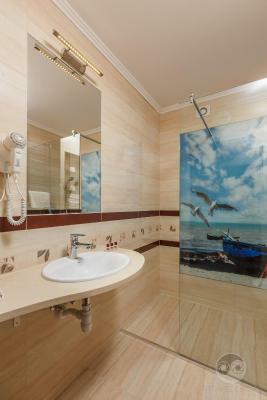 A spacious air-conditioned suite with a large bathroom featuring a bath or shower and comfortable Super Dream beds. A spacious room with comfortable beds and a leather sofa. 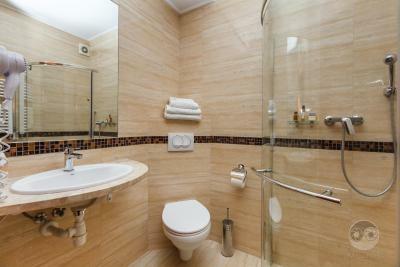 There is also a large bathroom with a shower. House Rules Hotel SPA Activia takes special requests – add in the next step! Hotel SPA Activia accepts these cards and reserves the right to temporarily hold an amount prior to arrival. Please note that the seasonal pool is open from 1 April until 1 October. Please note that a sauna and a hot tub area is open from 13:00. 1) In my booking I asked for a quiet room, yet I was offered a room at a floor with the games room which was at times very loud. 2) The staff didn't address effectively anti-social behavior from other guests: they were families who allowed their children to treat the entire hotel as their playing area. The staff didn't respond to this effectively enough. "Family friendly" should not read as "everything goes". We complained and in response were offered a quieter room but the issue continued. 3) Our entire stay was affected by the above issue, so even though the hotel itself was nice, the overall impression was below my expectations. I didn't ask for a compensation, but I would not pay the price again nor will I visit this place again, which is a shame. Have not noticed AC in the rooms It could be useful for summer hot days.